This interview will be on St. Louis on the Air at noon Thursday. This story will be updated after the show. You can listen live. 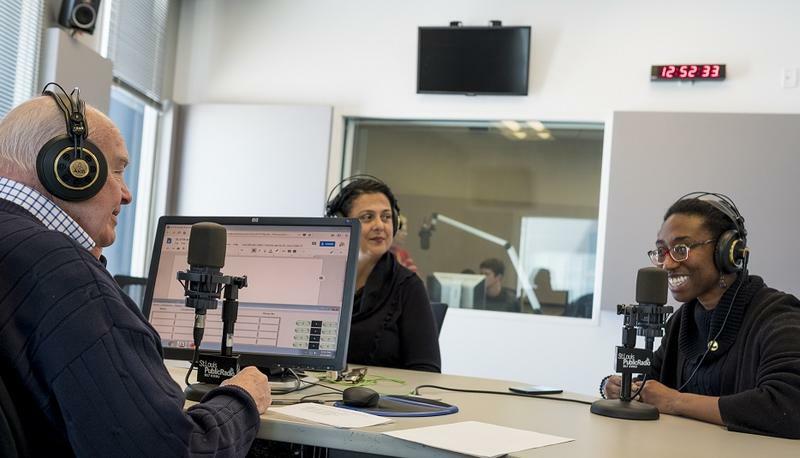 On Thursday’s St. Louis on the Air, host Don Marsh will discuss some of the ways in which local community members are deepening St. Louisans' understanding of contemporary issues through artistic endeavor. Joining him for the discussion in studio will be Olivia Lahs-Gonzales, director of Sheldon Art Galleries; Miriam Ruiz, a visual artist who is also school and community programs manager for the Contemporary Art Museum St. Louis; and Colin McLaughlin, a musical director and script writer for Bread & Roses Missouri. St. Louis Public Radio is taking the lead in a new public radio initiative called Sharing America. The collaboration covers the intersection of race, identity and culture. Holly Edgell, the editor of Sharing America, along with reporter Ashley Lisenby were guests Wednesday on St. Louis on the Air.